I can’t find for the life of me which is the out port and what is the in port on the oil filter sandwich plate. Doesn’t matter? I would think it would matter what direction the oil is flowing through the filter. 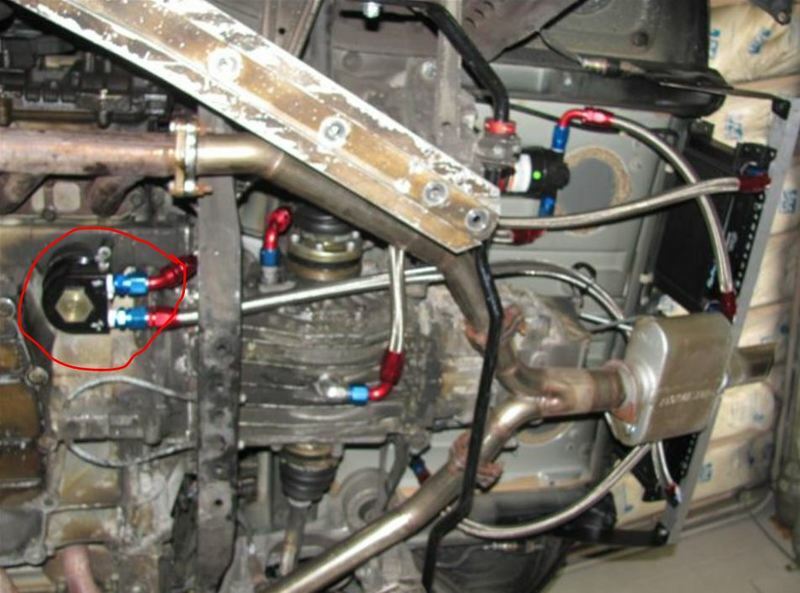 Oil filters flow from the outside to the inside; so the center port in the adaptor is the return to the engine. Accusump sandwich plate only needs 1 hole, any extra holes maybe be for sensors like oil pressure or temp. If all the holes go into the same space you are good but if the 2 holes go to different places you may have a remote filter plate or an oil cooler plate. Still lost on this one. There are two ports on the sandwich plate. How can I tell what’s out and in? Simple: Blow air thru each port, the one that flows to the center opening is the oil coming from the filter back into the engine. Thanks JFP this will definitely work, I wish I han't connected it all together yet. Before I disassemble it and go with this method I thought I'd see if I can get lucky one more time. Here is an image (that I shamelessly stole from the internet) of the sandwich plate I'm trying to determine which port is out and which is in. Is it this canton sandwich plate? If so the diagram on the linked pdf should help you.